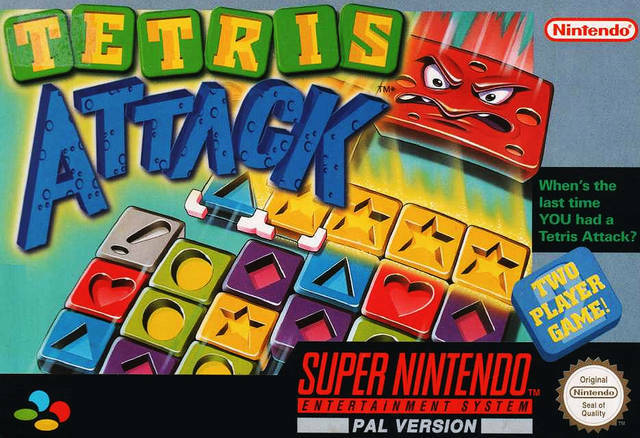 Tetris Attack for Super Nintendo presets colored square blocks in a well and has players swapping them into vertical or horizontal lines. Match three or more and they vanish. Seemingly simple, it is actually one of the most complex puzzlers due to the potential resulting combinations and chains. For 1-2 players.